2-ethoxybenzoic acid is dental cement. It is root-end filling material and prevents the entry of root-canal pathogens into periapical regions. 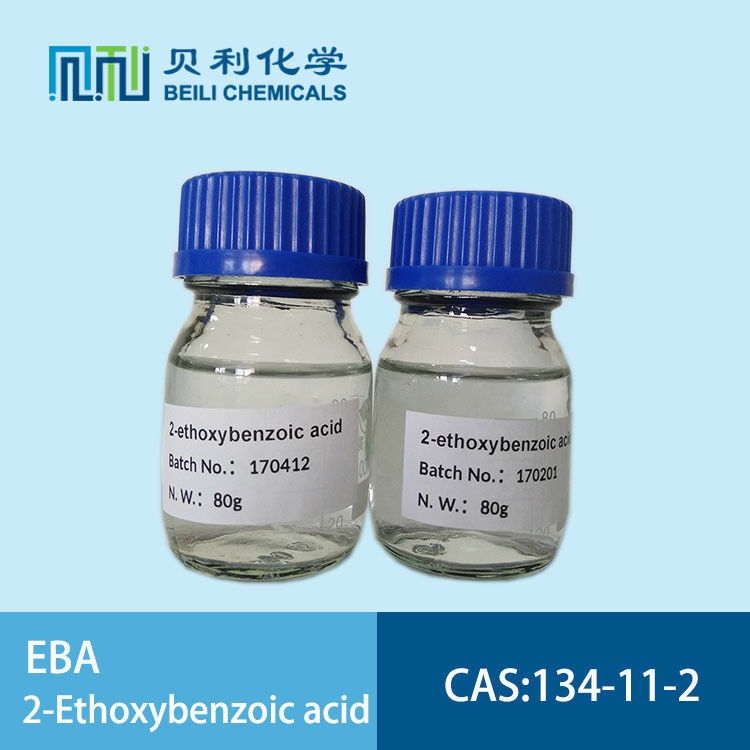 2-ethoxybenzoic acid EBA 134-11-2 is a benzoic acid derivative. Used mainly as pharmaceutical intermediate, for producing Sildenafil intermediate 2-ethoxybenzoyl chloride etc.It is used as an organic building block in synthetic organic reactions. It has been used in dental cements. Handling: Avoid breathing dust, vapor, mist, or gas. Avoid contact with skin and eyes. Use only in a chemical fume hood. BeiLi is a professional manufacturer of EBA 2-ethoxybenzoic acid Cas No. 134-11-2 in China. We can provide costomers with "one-stop"packaging service,from research,development,production,export and so on. 5. Good business credit in Europe ,US ,Japan ,Korea, India etc.